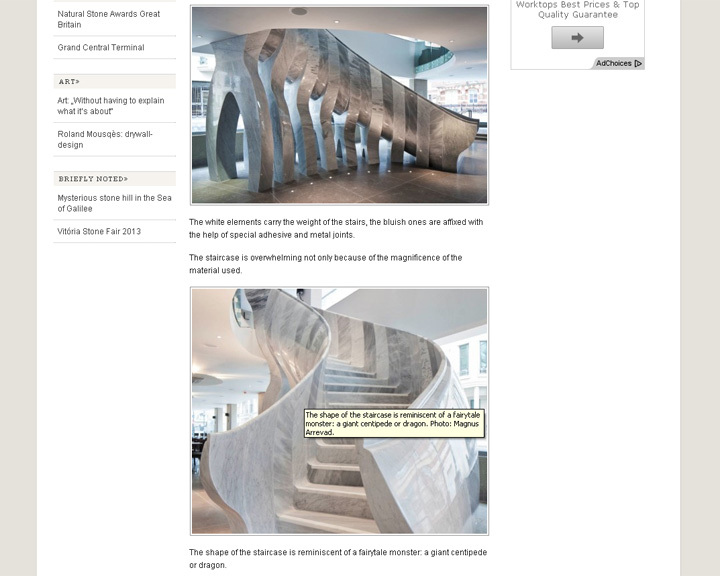 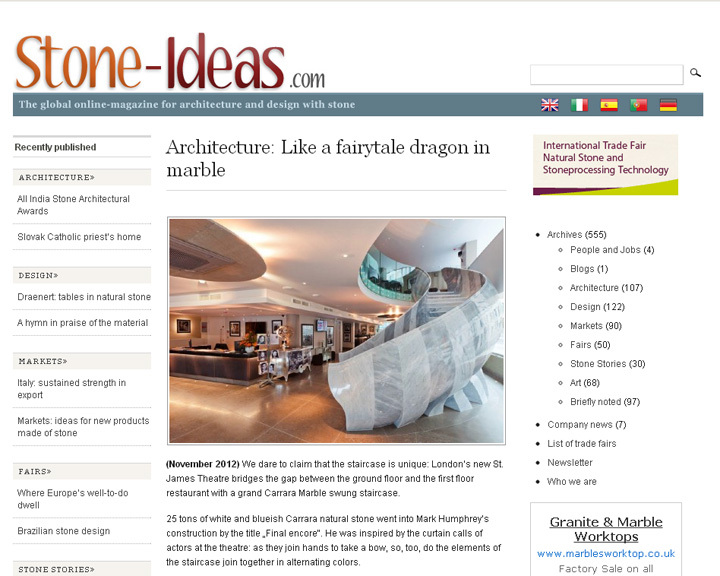 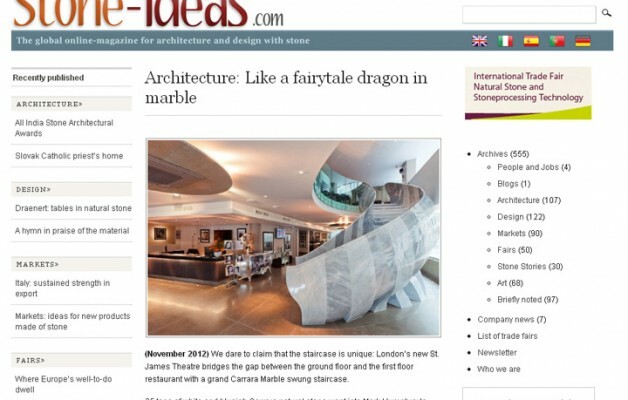 (November 2012) We dare to claim that the staircase is unique: London’s new St James Theatre bridges the gap between the ground floor and the first floor restaurant with a grand Carrara Marble swung staircase. 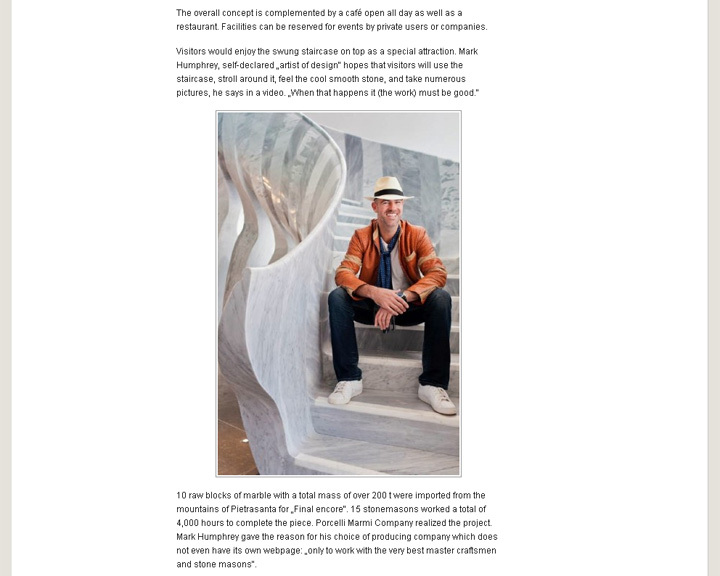 25 tons of white and blueish Carrara natural stone went into Mark Humphrey’s construction by the title ‘Final encore’. 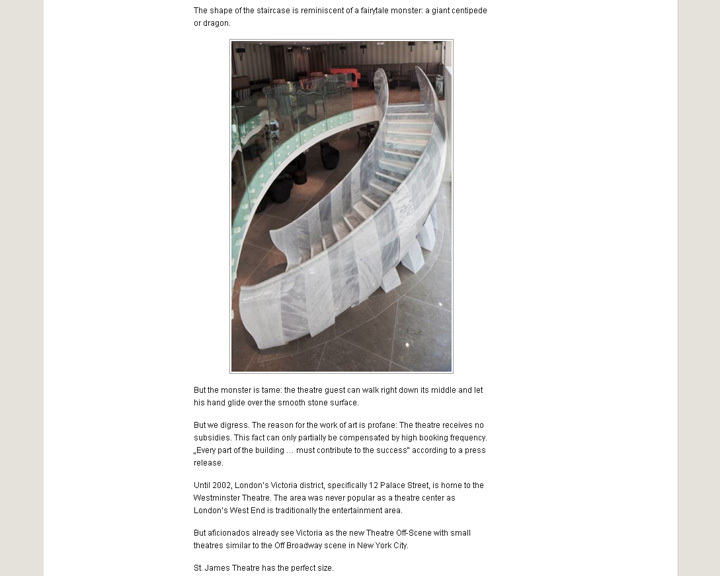 He was inspired by the curtain calls of actors at the theatre: as they join hands to take a bow, so, too, do the elements of the staircase join together in alternating colors.